Desert Club Estates in La Quinta, CA. 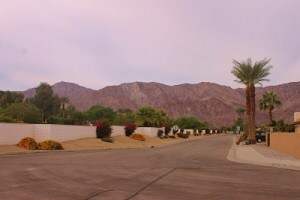 Desert Club Estates Real Estate in La Quinta. Welcome to Desert Club Real Estates in La Quinta, a non-gated, non-golf course community, in the center of La Quinta, California. Custom Homes on estate size parcels, walking distance to Old Town La Quinta and Arnold Palmers Restaurant are what sets homes in Desert Club Estates apart from the rest. Give Kim Kelly a call to arrange your personal tour..760-285-3578. Desert Club Estates in La Quinta is a unique community in our Coachella Valley. It’s not gated, but is walled. Located on the corner of Washington and 52nd St., the Eastern side is bordered by the beautiful, Citrus Golf Club. And that’s not the only nearby Golf development! Across from The Tradition Club, and a short bike or golf cart ride from the Public course, Silver rock, if golf is your thing..there’s plenty nearby. What’s really great is that you can literally walk to the nearby La Quinta Public Library, the new Fitness club, Fritz Burns Park with it’s pool and tennis courts, and Arnold Palmers’ Restaurant. Hiking is nearby in the La Quinta Cove area, and there are miles and miles of walking trails. Desert Club offers a huge range of homes for your to choose between, There are original homes from the 1950’s, 1970’s, and 1980’s to brand new Contemporary homes. The major appeal for custom home builders, or remodelers is the location, extreme mountain views, but also the estate sized lots that range to approx. 20,000 sf! There are a few home sites still available. Home prices range from approx. $350,000 – approx. $1,200,000. Huge range in styles, lot sizes, though none are smaller than 11,000 sf. Home sizes are also varied, from 1250 sf to over 5,000 sf. Because they are each different, you may add Casitas, duplexes, huge outdoor entertainment areas..anything you desire with permits of course! People who like Desert Club Estates homes will also appreciate the homes in La Quinta Cove, Rancho Santana, Hidden Canyon communities.